One way to personalize your email or promote your corporate identity is with email signatures. Often I find people either don’t know how to create or edit these signatures in Outlook. This is unfortunate as the Signature area is a useful feature that can be used for many scenarios. Warning: All e-mail sent to this address will be received by the corporate e-mail system and is subject to archival and review by someone other than the recipient. Confidential, Internal, Non-Public and Not for Distribution. From the Home tab, click New E-mail. 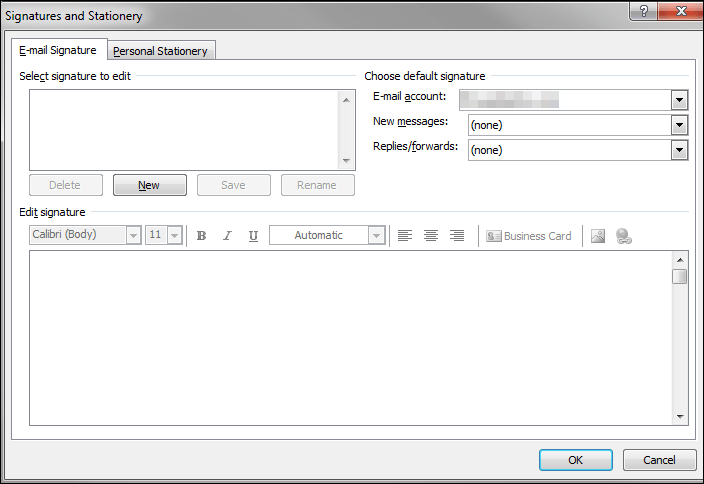 Click Signatures… The Signatures and Stationery dialog will open. In the Edit signature section click the image button . In the Insert Picture dialog, select the image you wish to include. In the Picture files dialog, navigate to the image file you would like to use. Highlight the image file and click Open. In the Picture dialog, click the OK button. Your image will appear. Add any other text as needed. Your signature is created and you should be back at the Options dialog. 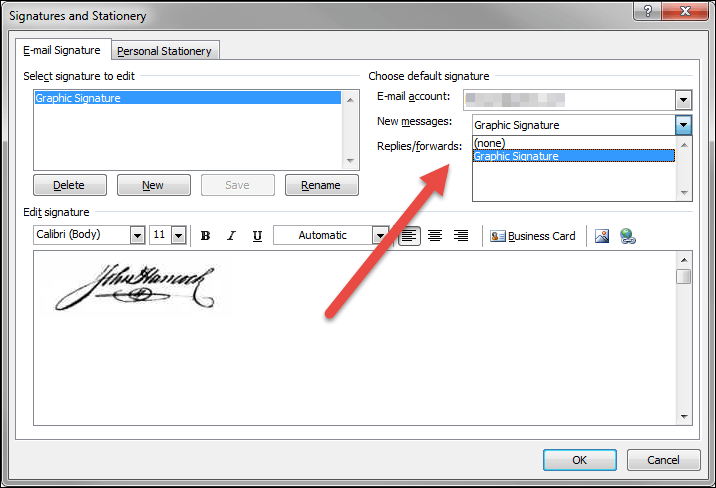 If you look in the signatures section, you’ll see Outlook has assigned your new signature to new messages. This means each time you create an email, this signature will appear at the bottom of the email. If you want to use the signature on an as-needed basis, change the Replies/forwards option to none. There are a couple of caveats about including images in emails. The good news is that you can click the image in your email message and resize it if needed. The bad news is not everyone displays images in emails. Some people prefer email in text-only format. In these cases, your image will not be seen. Free up your time and boost productivity with Microsoft Outlook. Also preps for MOC77-423 Certification. Learn Faster & more effectively by harnessing the skills of the world’s fastest readers & memory record-holders.